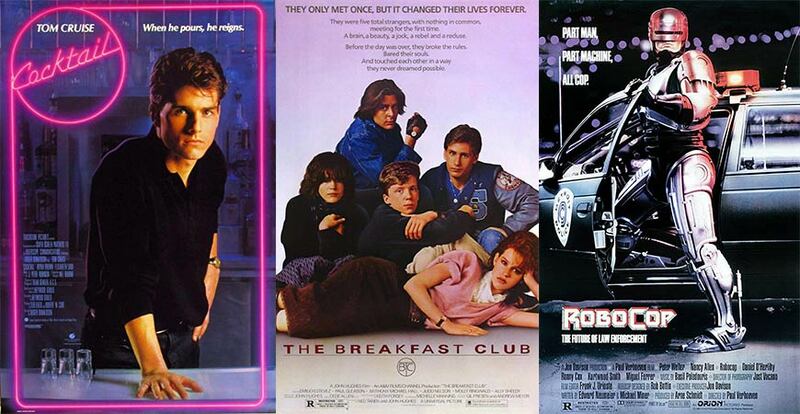 Design Contest: What’s the Secret to 1980s Movie Posters? As part of our Ultimate 80s Movie Poster contest, Graphic Stock is sponsoring a design series on SitePoint. The topics discussed in this article, as well as these articles â€“ Photoshop editing and 80s font selection â€“ can be used to help you win the contest. Sign up for a Graphic Stock trial and get ready for your chance to win the $5000 first prize. Post-millennial designers are standing on the shoulders of giants: Saul Bass, Henri Matisse, and whoever designed the poster for Pretty Woman, to name just a few. Because recognizing these roots is crucial for success â€” and for winning our 1980s movie poster design contest â€” weâ€™ve put together a visual mix-tape inspired by theartwork of theater lobbies circa 1980-1989. The traditional background for film posters in the 1970s was either white or off-white, and while that trend saw a steep decline throughout the next decade, it by no means disappeared. 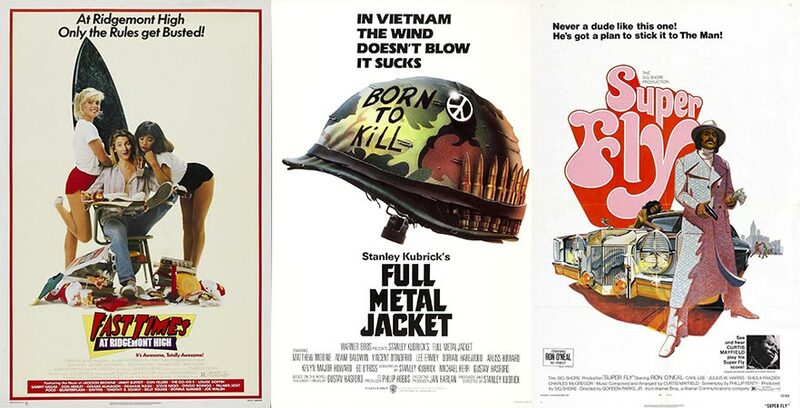 The original posters for Fast Times at Ridgemont High (1982) and Full Metal Jacket (1987) fit right in with that of Super Fly (1972) in confirmation that white borders and central composition were still very present throughout even the late eighties, if no longer the dominant theme. More and more, the decade that brought us John Rambo, John McClane, and John Connor went full bleedâ€”and not just in terms of heroic violence. Backgrounds saw a shift from high-key to low-keyâ€”and artwork got the same treatment by way of heavy shading reminiscent of chiaroscuro. Matthew Broderickâ€™s face is fully illuminated in the artwork for Ferris Buellerâ€™s Day Off (1986), but all but hidden in the poster for War Games (1983). Subject matter clearly factors into this, as War Games is certainly a darker film; however, movie posters as a whole got a darker treatment in the eighties, a trend that has largely carried through to present day. 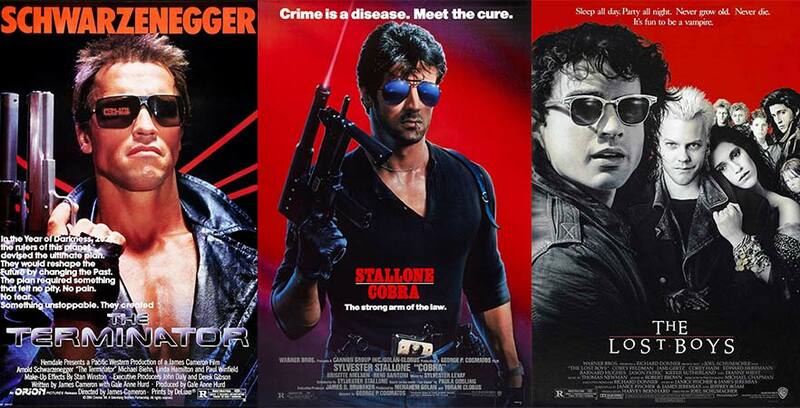 Darkness aside, thesethirty-year-old posters are a long way from â€œmodern.â€� Black might still be en vogue today, but thatâ€™s less true for dark sunglasses and fingerless glovesâ€”two relics of eighties fashion (and poster)design. Youâ€™d think sunglasses would be distracting for an action hero, for whom obstructed vision might mean the difference between life and death. We donâ€™t see KatnissEverdeen wearing sunglasses in The Hunger Games artworkâ€”or even the vampires from Twilight, who are particularly photosensitiveâ€”but that might be different had these films been produced three decades ago. Fashion design and graphic design continually feed one another, which is why posters from the 1980s leaned particularly heavy on elements like dark sunglasses, leather jackets, and fingerless gloves. Pinks and purples werenâ€™t just â€œprettyâ€� in the 1980s;they were dominant throughout several genres, including sci-fi and action. Look closely, and youâ€™ll find them in the metallic font of The Terminator (1984) and the backdrop for Stalloneâ€™s Cobra (1986). Meanwhile, purple is every bit as present in artwork for the sci-fi-action film RoboCop (1987) as in that of dramas like The Breakfast Club (1985) and romances like Cocktail (1988). Today, pinks and purples are back to being typecast as soft and feminine, but they were definitely mainstream in the 1980s and widely used across genres. The eighties were also the era of digital, and movie posters were prime real estate for imagery of computers, pixelated computer graphics, lasers, and wild electricity. 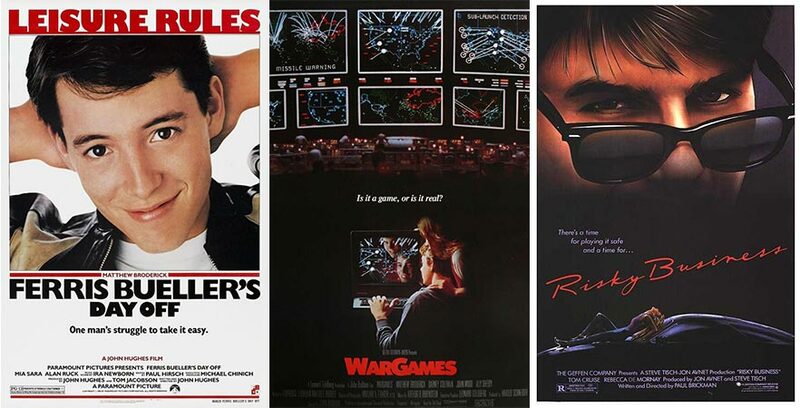 Films like War Games (1983)presented organic opportunities for this, while other films went with more conceptual uses, particularly through title fonts. The designers behind the artwork for Weird Science (1985), 48 Hrs. (1982), and E.T. (1982) all used typography to add a digital or technological feel to the titles. 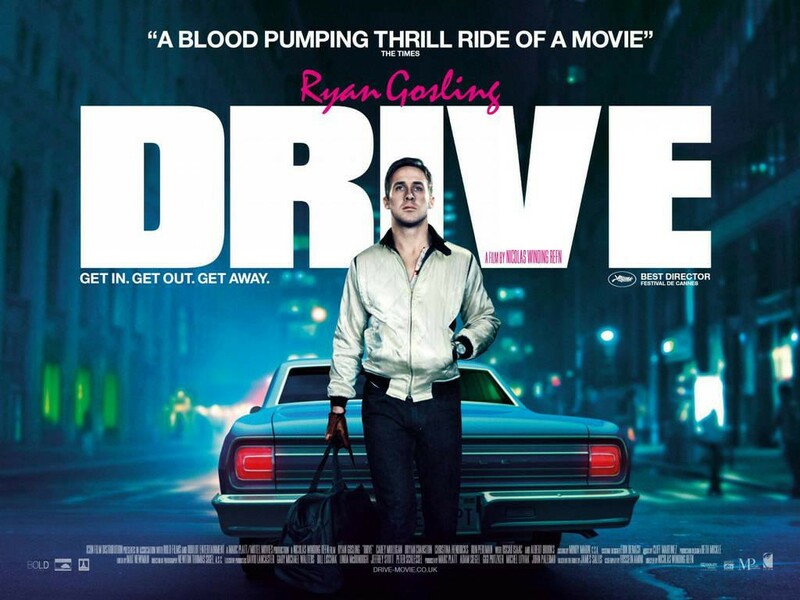 Of course, you can always just pull inspiration from Drive (2011), which might be the most eighties movie poster of all time, despite being produced three decades laterâ€”owing, at least partially, to its use of pink text, fingerless gloves, high collars, dark shading, and electric lights. Matt Siegel writes about design and media for GraphicStock.com, a subscription-based provider of royalty-free graphics with an unlimited download model.